Having a diverse collection of metal music in one's collection allows for differing moods and differing tastes. By its nature, metal music is a diverse genre and is growing ever more diversified. New bands toy with new sounds, sometimes to varying effects. Some bands find their niche sound and stick with it. Finnish band Insomnium are of the latter category. This band has been around for a long time and have released many good albums. "Across the Dark" was an eye-opener, and "One for Sorrow" continues in this vein. Stylistically, this album is doom metal at heart, using many different keyboard and guitar based melodies to create a sorrowful, melancholic sound that is just as angry as it is sad. The band overlays this tendency with vicious growling vocals almost continuously, leaving little room for clean vocals. When these clean vocals appear, they are incredibly tasteful while retaining their metal edge. "One for Sorrow" begins and ends with complex melodies and mid-tempo rhythms. These tempos vary throughout the album without the usual associated extreme highs and lows, that dominate so much doom metal. 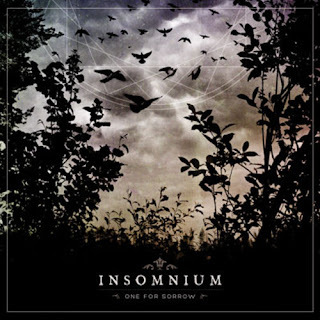 Even through the sorrow, Insomnium manage to create catchy grooves and beautiful melodies often enough to capture interest throughout the disc. As expected, keyboards are a large part of the Insomnium sound, as are the low, growling vocals. This music is easy to listen to for fans of metal. It should appeal to fans of doom, melodic death metal, and progressive metal. 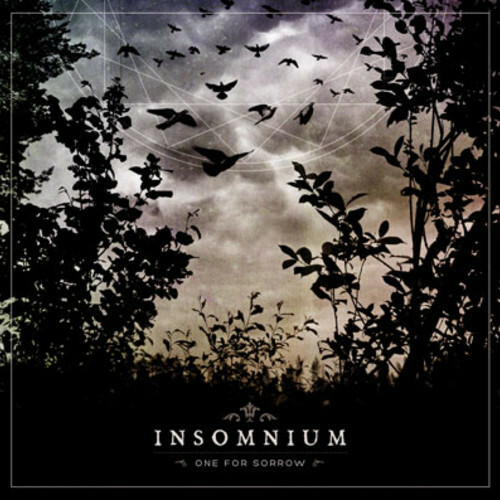 Many bands compare to Insomnium, but Insomnium pioneered the perfect blend between chunky melodeath and over-the-top doom. This record is very balanced and instantly catchy. Give it a listen and you may be impressed. If you are a fan of Insomnium or Be'lakor, pick this album up. Having somewhat outgrown the melodeath genre, I was at first skeptical regarding whether I would like this new disc. Now that I have listened to it in its entirety, I feel that it is very much worth recommending. Thanks for listening and, as always, enjoy!